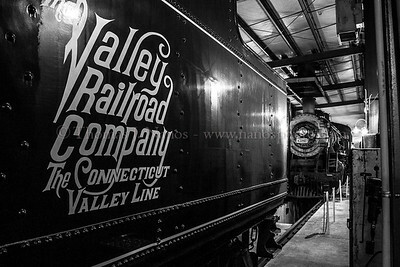 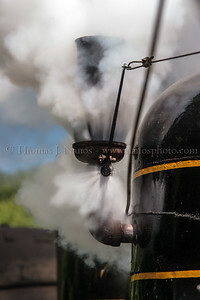 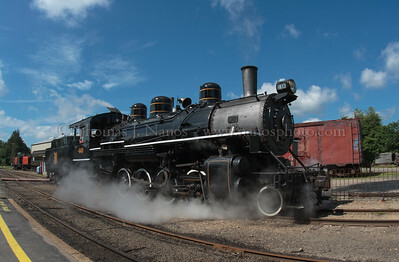 Valley Railroad Mikado No. 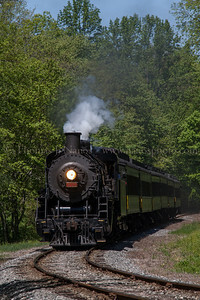 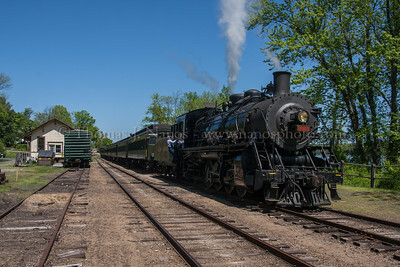 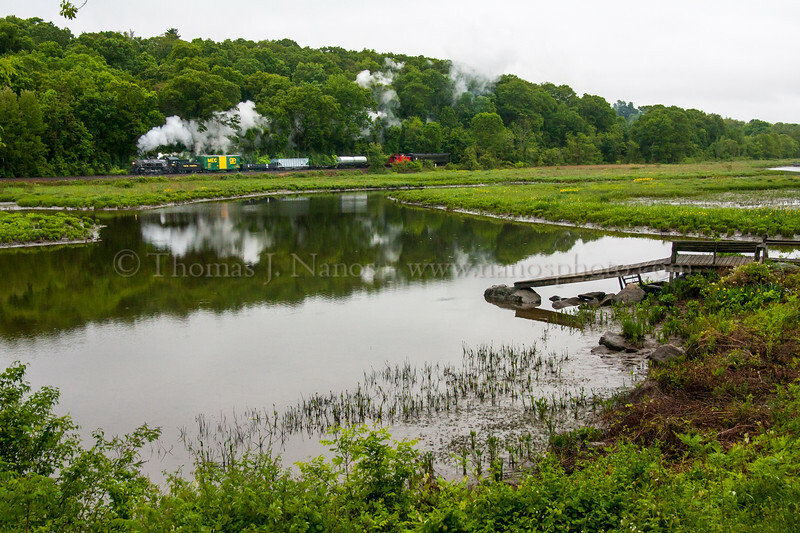 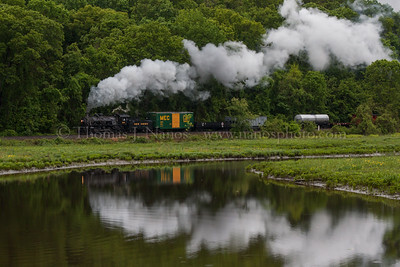 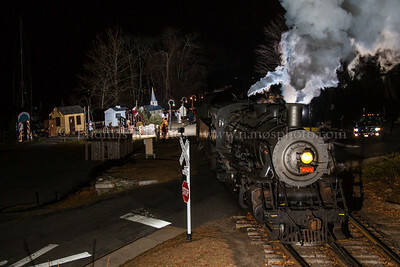 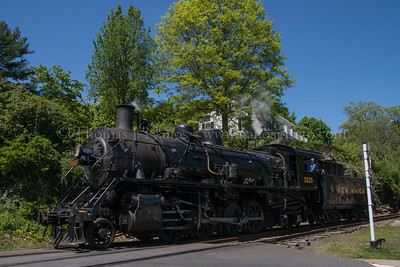 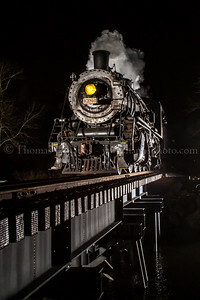 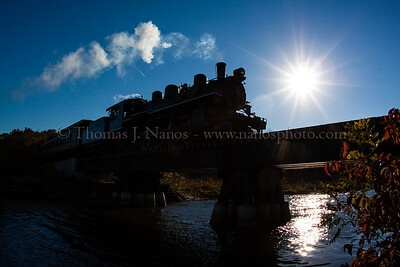 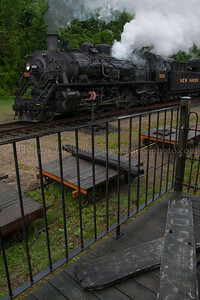 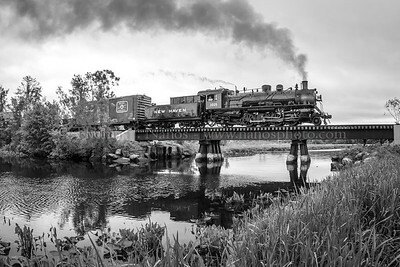 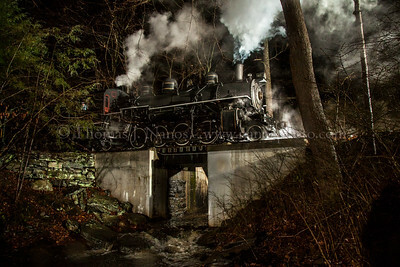 3025 leads a North Pole Express train over the Old Deep River Road crossing in Centerbrook, Connecticut. 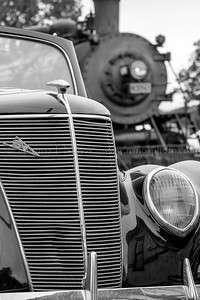 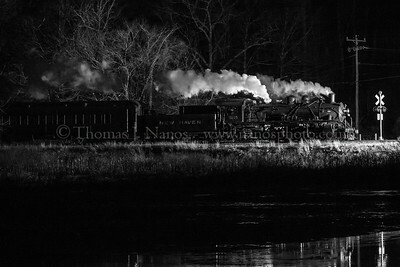 This photo was inspired by two photos - done 30 and 60 years prior. 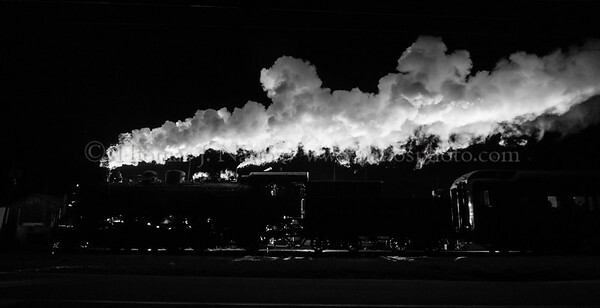 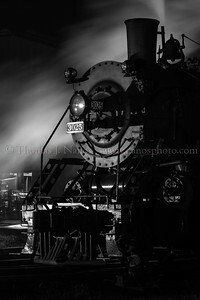 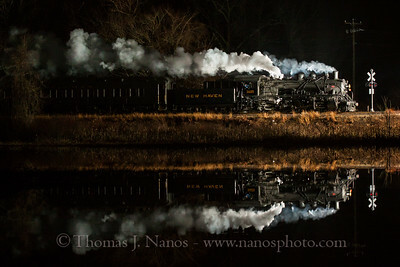 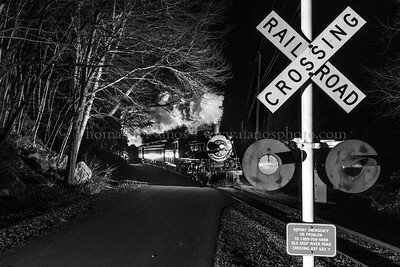 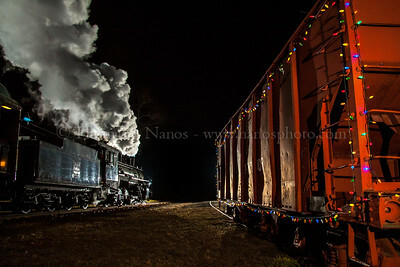 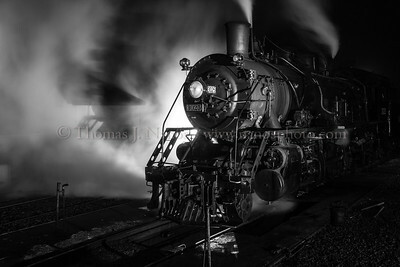 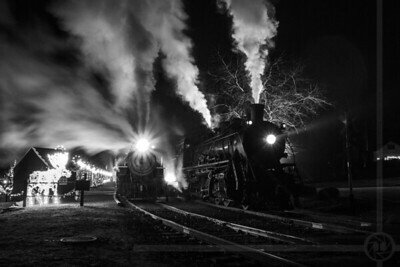 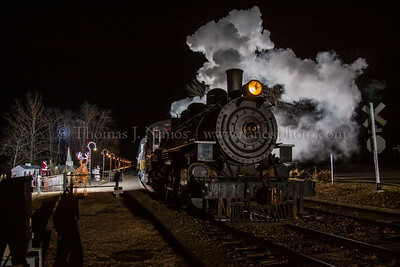 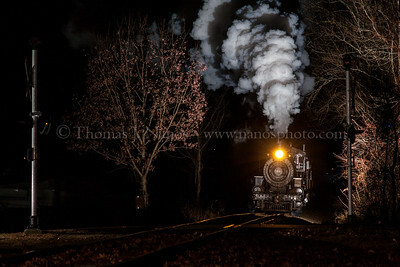 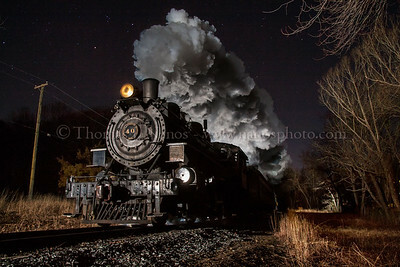 The latter being the Pincus/Hart Jr. work "Night Ride 1985" taken at the same crossing, and Link's "Luray Crossing, Virginia 1955"